A city with a proud gastronomic history, the Spanish capital has no shortage of well-established ‘tabernas’ and dining rooms. Whether you’re looking for gutsy Castilian cooking, wood-panelled interiors cluttered with antiques, or to follow in the footsteps of gluttonous royals and literary greats like Hemingway and Lorca, you’ll find it in our guide to Madrid’s ten best historical restaurants. None of the capital’s dining rooms can quite match the pedigree or the longevity of Botín, a restaurant specializing in roast meats. Botín began welcoming diners in 1725 and since then it has earned the admiration of many of Spain’s literary greats, along with Graham Greene and Ernest Hemingway, who set the final scene of The Sun Also Rises in one of the restaurant’s wood-paneled dining rooms. Add to that Botín’s association with Francisco de Goya – who once worked there as a waiter – and it’s unsurprising that the restaurant is popular with tourists. It’s a popular venue that serves an outstanding cochinillo asado (roast suckling pig). A window into old-world Madrid, this characterful taberna dates back to 1827 and is housed in a building in which Miguel de Cervantes, author of Don Quixote, once lived. With bullfighting memorabilia on the walls and a charming bar decked out in dark wood, Casa Alberto’s interior is atmospheric and typically Spanish. The same goes for the menu, which includes house specialties of rabo de toro (oxtail), meatballs, and callos a la madrileña (tripe). Slow-cooked in a rich tomato sauce and heavy on the smoked paprika, the madrileña is velvety and intensely savory, a regional classic and an excellent introduction to offal. Although Casa Pedro has only been known by its current name since 1940, the restaurant’s history goes back much further. Indeed, it goes back far as 1702 according to some, when the site was an inn catering to travelers on the road to France. At that time, it welcomed many of the great and the good of Spanish society, among them Kings Alfonso XIII and Juan Carlos I. 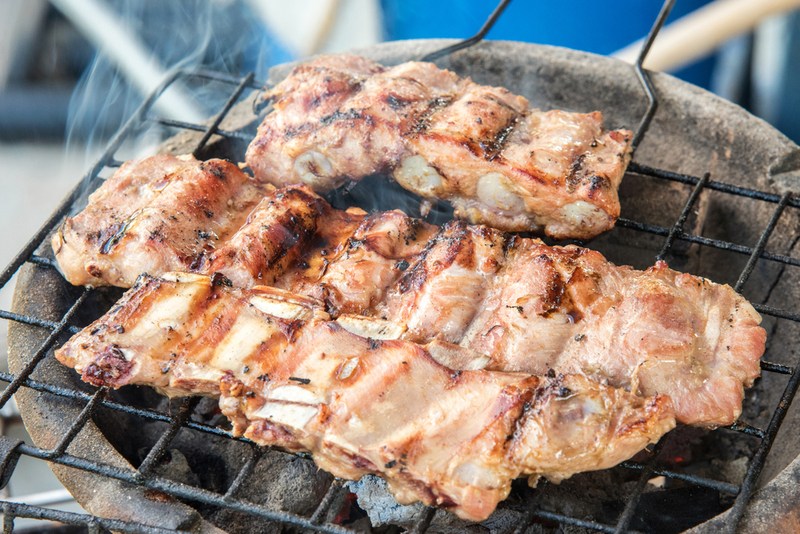 The cooking is as robust as you might expect from a restaurant with Casa Pedro’s history, with pigs trotters, oxtail and roast lamb on the menu. Look out for the messages of affection scrawled on the white tiled wall by decades of well-fed diners. 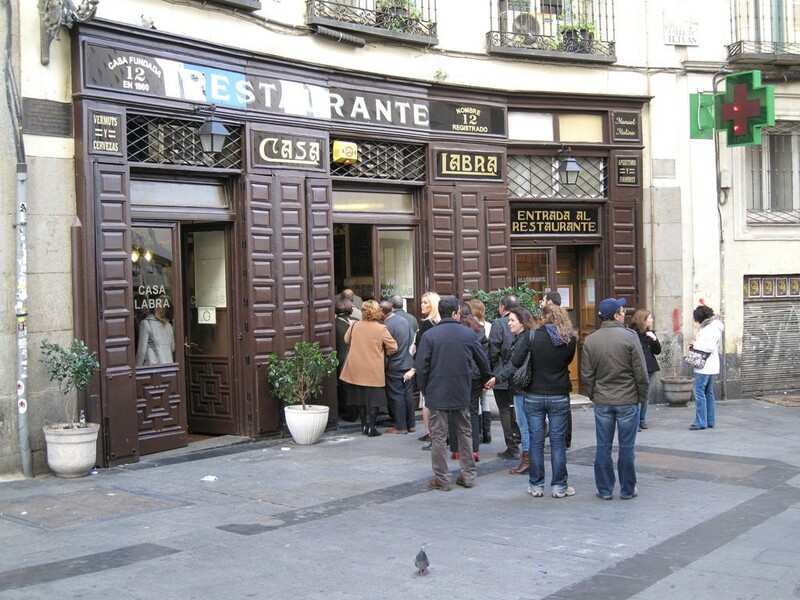 La Bola has been a favorite in the Spanish capital since 1870 and has been in the Verdasco family for four generations. The restaurant serves an excellent cocido for which it is rightly famed. Gently cooked in individual clay pots over a smoldering bed of oak charcoal, the recipe for this madrileño classic has remained unchanged since the day La Bola opened. This dish has even earned the restaurant a Premio Alimentos de España award for the preservation of traditional Spanish cuisine. Cast an eye over the dessert menu and you’ll find another of the restaurant’s specialties: syrupy apple fritters with ice cream. Cafe Comercial opened in 1887 and has a well-worn interior, dominated by marble topped tables, faded leather chairs, pillars and mirrored walls. 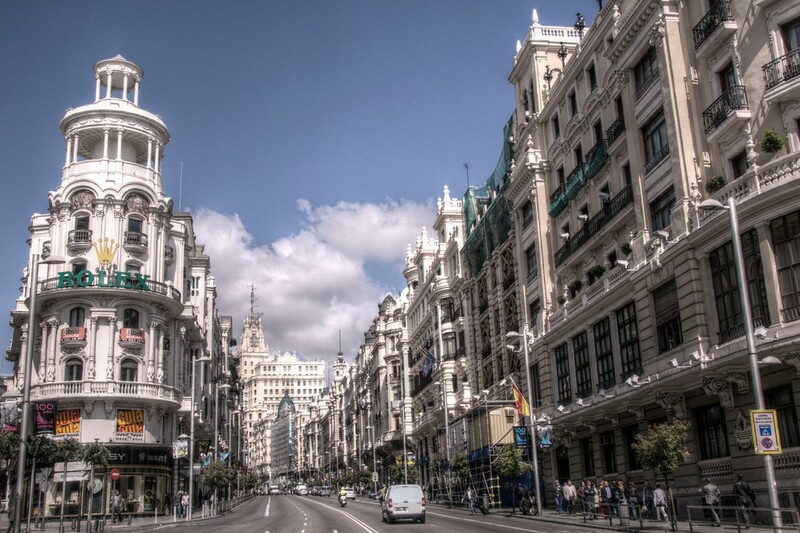 It plays host to everyone, from groups of chess-playing pensioners to lone travelers in search of the Madrid of old. The breakfast menu consists of Spanish staples such as churros and pan con tomate – toast topped with fresh tomato and olive oil – with sandwiches available at lunchtime. Arts events can be found here too, from poetry readings to language exchanges. Along with ancient restaurants, Madrid does a good line in historic cafes: places where artists and intellectuals met to discuss literature and current affairs. 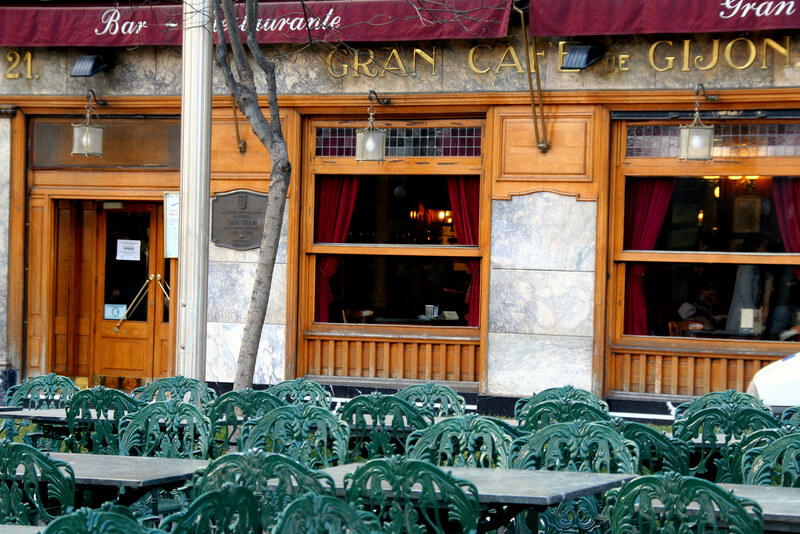 Many such meetings, known to Spaniards as tertulias, took place in Café Gijón, which has occupied its site on the Paseo de los Recoletos since 1888. Among the restaurant’s most famous patrons is the exalted 19th century novelist Benito Pérez Galdós. In addition to coffee and tapas, Cafe Gijón offers a series of set menus. Should you wish, you can also stage your own tertulia and order a buffet-style spread of drinks and canapés, including smoked anchovies, meatballs and tortilla. Heated debate and dismissive Castilian arm-waving are optional. Loved by Federico García Lorca, a celebrated Spanish poet and playwright who was tragically executed during the Civil War, Casa Labra opened its doors in 1860. The wood paneled dining room and bar is renowned for its salt cod croquettes and deep-fried tajada de bacalao, often hailed as one of Madrid’s most castizo (iconic or representative) dishes. To go with it, you’ll find beer from the barrel, fino sherry and local wines. 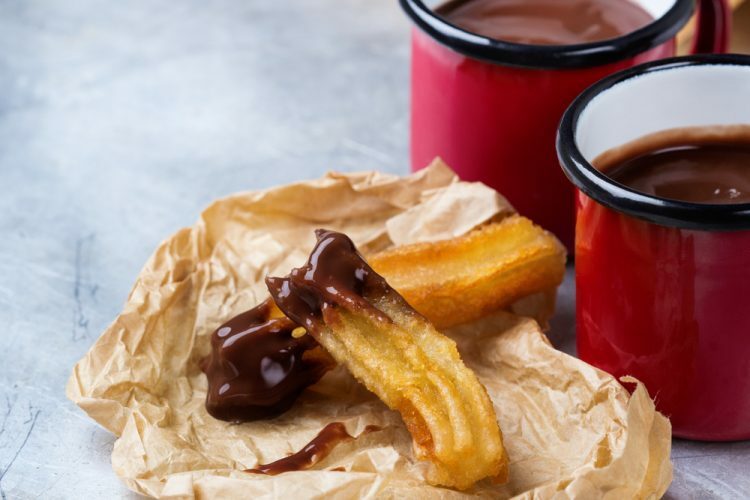 The debate surrounding the best place for chocolate con churros in Madrid is a heated one, but few would dispute Chocolatería San Ginés’ reputation as the most historic places in the city to enjoy them. 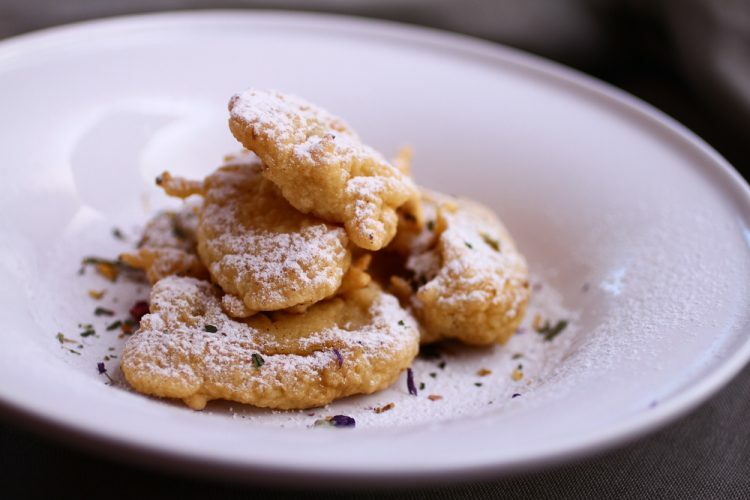 From its location near the Plaza Mayor, San Ginés has been serving these slender Spanish donuts alongside cups of luxuriously gloopy chocolate since 1894. In that time it’s amassed a substantial following and the walls of the green and white tiled cafe are now cluttered with photographs of famous patrons, from glamorous socialites to members of the Spanish royal family and more recent stars. Open 24 hours a day, San Ginés does a roaring trade in the early hours and is an all but obligatory stop for many madrileños following a night on the town. 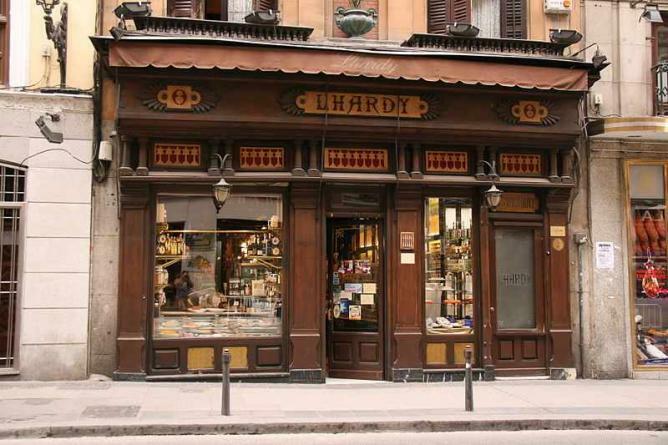 Established in 1839, Lhardy is a bastion of madrileño fine-dining. Historically popular with Spanish aristocracy, it was given a revamp in 1880 by Rafael Guerrero, one of the period’s most sought-after interior decorators, and has changed little since. The menu is similarly classic, focusing on Spanish staples with the occasional nod to French flavor. Lhardy’s refined take on cocido madrileño – a winter stew of chickpeas, vegetables and meat – is excellent and well-worth trying, as is the roast partridge stuffed with French onions. Zalacaín is just a little over 40 years old, yet as the first restaurant in Spain to be awarded three Michelin stars (back in 1987), it’s a historically symbolic venue. Firmly rooted in tradition, the kitchen is governed by good taste, with dishes such as stuffed pigs trotters, a salad of cold water lobster and langoustines, and rich mille-feuille. The luxurious dining rooms have seen more than their fair share of historic events. World leaders, royals and Nobel prize-winners have all stopped by over the decades.